VIDEO: Tim Kaine and Union Fat Cats Spreading Lies about George Allen | Virginia Right! You knew it would happen, but Tim Kaine is getting desperate. Six years ago George Allen used the word Macaca in a perhaps ill advised way, but he intended no harm. Allen is just a friendly, down to earth guy and he uses humor to communicate on occasion. And that is all he intended, a bit of humor. The young man who later said he felt “uncomfortable” reportedly told his Democratic bosses that there was nothing on the tape he made following Allen around, hoping he would say something. So these Democrats reviewed the tape and also found nothing. But then decided to pull a scam on Virginians. They contacted a left wing blogger who had Wikipedia editing privileges and entered the word Macaca and fabricated the definition that was used to claim Allen was a racist. In other words, the word Macaca was meaningless until Allen uttered it and the Democrats lied. 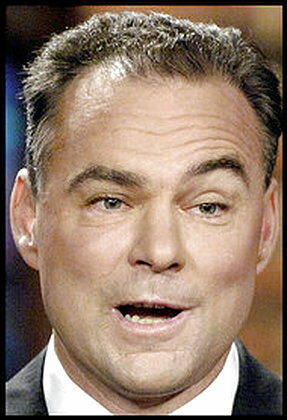 It is time Virginians stop letting Tim Kaine and the Democrat lies tarnish a good man. There are racists in this world. George Allen is not one. And there are race baiters in this world. Tim Kaine and Union Fat Cat Richard Trumka are race baiters. This needs to stop. We are in a financial disaster and there are no jobs and Kaine wants to drag out old, debunked lies. There is no honor in this man. Virginia should be ashamed of Tim Kaine and his Union friends. Watch this video and learn the truth.